Ever notice how many athletes have eating disorders? No, you wouldn’t. 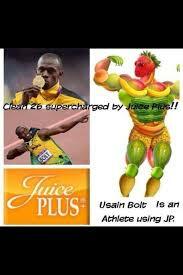 We, the general public only see what the athlete endorses or how the athlete fairs in their sport. I recently watched a documentary where bodybuilders were subjected to eating an enormous amount of food during competitions. I was not surprised to hear most of the athletes state that they often “crashed” after the competition. One of the bodybuilders saw on a daily basis a chiropractor that advised him to reduce his food intact, especially all the meat protein he was eating. The bodybuilder did not take his professional advice and was fighting a cold and had a lack of energy during his long hours training. His chiropractor stated that the human body was not built to be subjected neither to huge amounts of food or to the abuse of building the muscles that large. This particular athlete also suffered from major anger outburst, extreme stress, lack of sleep and depression. What I noticed was the athlete lacked plant based foods, fruits and vegetables in his diet causing much an imbalance in his diet and in his body. I felt that this athlete was definitely NOT flexing his one and only important muscle – his gut! He did not trust his own intuitive muscle because of what he thought he should eat or what his trainer told him he should eat. Many athletes are in the same situation – eating what their coaches say they should, rather than flexing their own intuitive muscle, listening to their bionic ear and paying attention to the signs their body is desperately sending them. In the end, they may win in their field yet they have lost in winning for themselves. I recently met an amazing athlete named Dr. David Phillips. He was an All-American swimmer who competed individually in national and international triathlons. He also practiced as an emergency physician before focusing on sports medicine. During his lecture geared to athletes, Dr. Phillips emphasizes how important it is to maintain a proper well-balanced diet including plant based foods, fruits, vegetables and protein. He found that when he was competing and ate what his trainers told him he should, he often suffered injuries or colds. Once Dr. Phillips decided to start to follow his gut instincts and really pay attention to what his body craved, he no longer sustained the same injuries, nor did he become sick during training or after his triathlons. We are all faced with many pressures from the outside world, whether it is our coaches, trainers, colleagues, or fellow athletes. What I encourage you to do is to flex your most important muscle and to feed it well – your gut – figuratively and physically. Once you do, you will notice that your body will reward you with the strength you need to compete well, the motivation to stay on track (pun intended), your injuries will be reduced, your stress level will be lessened, you will feel happier, you will have a positive attitude and you will be better equipped to deal with your wins!